>Surprise Absinthe Flight at Tavern Law! >Date night on Capitol Hill. CR and I decided to head to the hill to see what kind of trouble we could stir up (really, we’re just trying to find a parking space). Luck was seriously on our side as we found prime parking in the Pike/Pine corridor. Our first stop was The Tin Table. This was our first visit to The Tin Table and we loved the feel of this space. 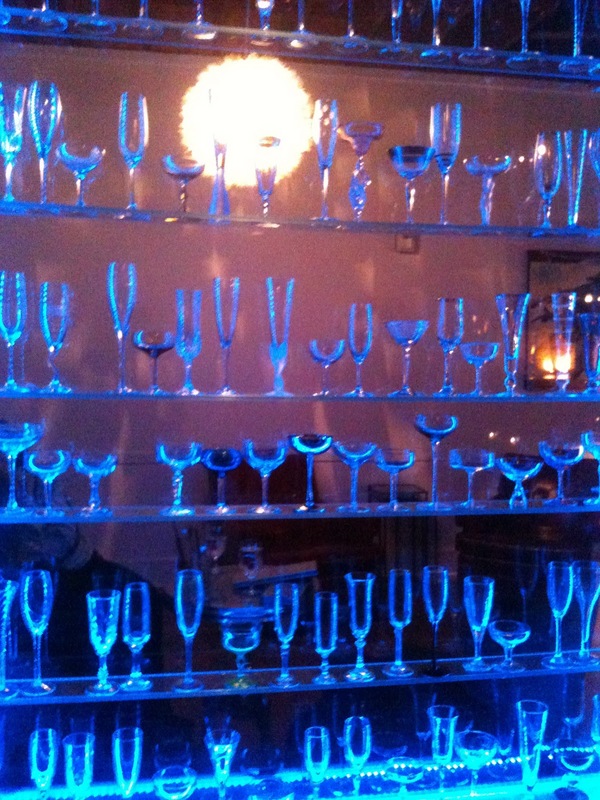 We were welcomed by cool blue light coming from a wall of various cocktail glasses. OK, we’re hooked. We had tasty cocktails and dinner and fun conversation with the bartender. We’ll put The Tin Table on our list to visit again when we’re in the neighborhood. After snooping around the Century Ballroom (note to selves: sign up for dance lessons), which shares space with The Tin Table, we made our way out onto the streets of Capitol Hill looking for our next stop. Bar hopping on Capitol Hill….big night. We had recently celebrated CR’s birthday at Needle and Thread, Tavern Law’s swank upstairs speakeasy. The evening was a brilliant cocktail experience and I suggest everyone put Needle and Thread on their list of cocktail bars to visit. [Pay attention as you ascend the stairs; the pictures flanking the staircase are a real treat]. Remembering that C&E and I had recently been wowed by the cocktails at Tavern Law, and CR had enjoyed the upstairs retreat, but not Tavern Law proper….the decision was easy. Off to Tavern Law we go. We’re lucky and get two seats at the bar. Brian is our bartender, and he remembers us from CR’s birthday bash as he was working Needle and Thread that night. CR is a scotch drinker and Brian suggests the Morning Glory Fizz. This is a vintage cocktail dating back to the late 1800’s and contains absinthe. I am not a huge fan of anise flavor… actually, I really dislike it. Thus, the Libation Laboratory Inventory does not yet contain absinthe. However, I do recognize that many classic cocktails contain this ingredient, and as such, we need to procure a bottle. But which kind does one buy? Well, there we are with an expert right in front of us. We ask Brian which absinthe he prefers. He goes to the shelf and pulls down four (4!) different brands of absinthe and SURPRISE, absinthe tasting commences! We taste St. George, Pacifique, Mata Hari and Kubler. Thank you Brian! We appreciate your knowledge and generosity. Being a virgin of absinthe I don’t feel qualified to critique and review the participants. This has been done very nicely elsewhere. 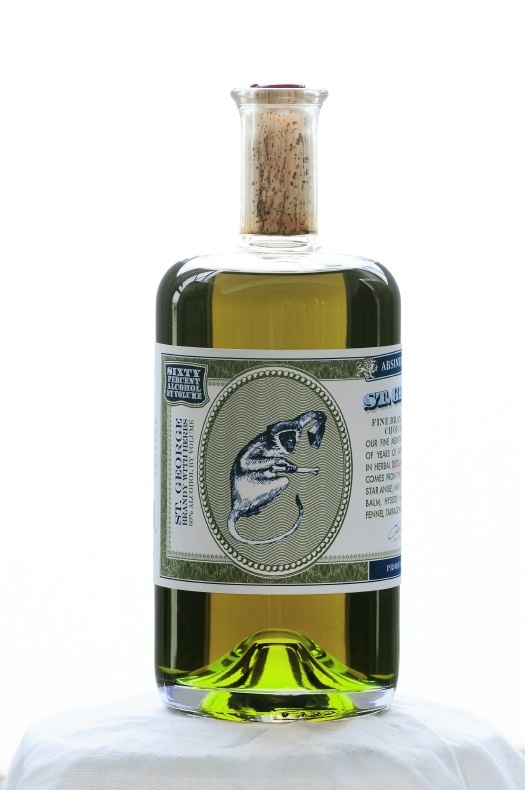 Christopher Null over at Drinkhacker has great reviews on absinthe and the New York Times has also written a very nice absinthe review article worth reading. Suffice to say we thought the Mata Hari was weird, the Kubler was nice. We liked Pacifique (and it’s local), but St. George was the winner. Off to the liquor store we go with visions of Sazeracs, Chrysanthemums and Monkey Glands in our heads. 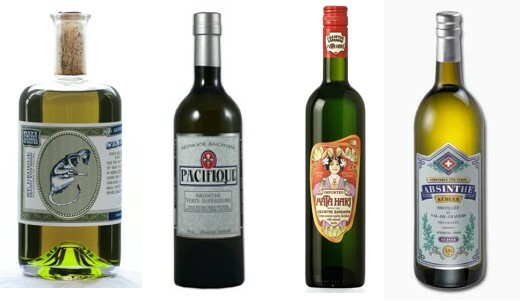 What other classic absinthe cocktails should we plan to mix?